cures different complications of diabetes. Mental Wellness.Contains Brahmi and Mulethi which support focus, clarity, alertness and memoryBenefit the nervous system hence providing more control over nerve disorders. Ingredients: Catuaba, Saw Palmetto, Cordyceps, Pumpkin seed Extract, Peach Fruit, Apple Powder, Tribulus Terrestris, Horny Goat, Fructose. 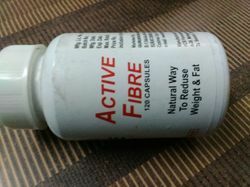 An ideal ayurvedic supplement for diabetic person. Contains herbs like Karela, Jamun, Guduchi etc. It Helps in controlling blood sugar and urine sugar. Also helps in mentaining healthy working of organs like kidney Liver Pancreas. Helps in blood purification.